Agriculture accounted for around 8 trillion VND (342 million USD) of the value. Rice topped other crops in terms of value as output exceeded the target by 8.5 percent. The city has 106 large-scale rice fields with a total area of 25,417ha and 18,000 farmers working together. Almost 65 percent of the rice grown in the winter-spring and summer-autumn crops comprised of high-quality varieties. The use of agricultural machinery like harvesters, establishing large-scale fields, planting high-quality rice varieties, and high rice prices this year have meant farmers enjoyed a profit margin of 40 percent. The city’s 18,400ha of orchards produced 111,500 tonnes of fruits, 13.2 percent more than the city’s target, according to the department. 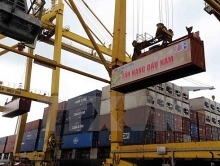 The department has established concentrated growing areas for milk apple, mango and Ido longan based on Vietnamese good agricultural practice (VietGAP) standards. It has also acted as a link between companies and cooperatives, ensuring the former to buy all the latter’s products. The city has built brands for its Xoan orange and Ido longan in O Mon district and Ha Chau Burmese grape in Phong Dien district. Besides growing fruit to VietGAP standards, the city has also developed eco-tourism around its orchards. It has 15 orchards that offer eco-tourism, mostly in Phong Dien district. The model offers orchard owners 1.5-2 times the profit they get from their fruits. The city has 5,000 buffaloes, oxen and cows, 130,000 pigs and 2 million poultry. It has instructed farmers to ensure their farms meet food safety standards and they protect the environment and produce high-quality products. It also developed aquaculture areas that apply VietGAP and GlobalGAP standards to produce high-quality produce for both domestic consumption and exports. Farmers breed fish and other creatures to VietGAP standards in 215ha of aquaculture ponds. 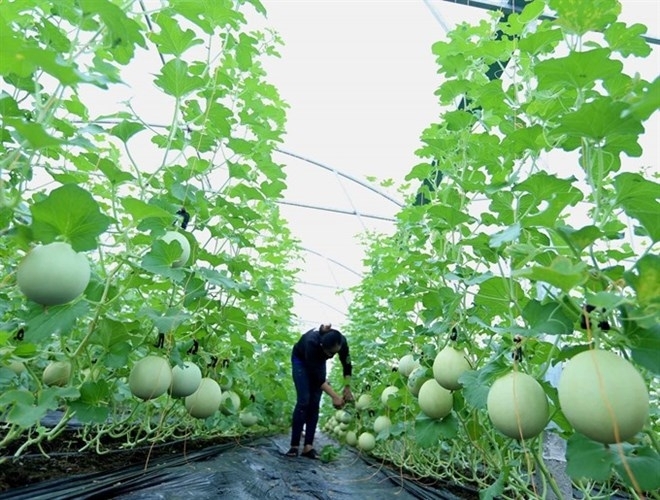 However, climate change, unseasonable rains and prolonged hot weather have affected the yield and production efficiency, according to Nguyen Ngoc He, director of the department. Individual and small of scale production, low labour skills in rural areas, unstable outlets and shortage of funding are major problems facing the agricultural sector, he said. The city would continue to restructure agriculture next year, focusing on developing key products on a large scale and with high quality, he said. It would improve the operations of existing co-operatives, set up new co-operatives and would continue to act as a link between companies and co-operatives, he said. The city would continue to teach farmers farming techniques and solicit investment in agriculture, especially processing and post-harvest preservation.